Intel's first major CPU core update in years kicks the chip giant back into high gear. 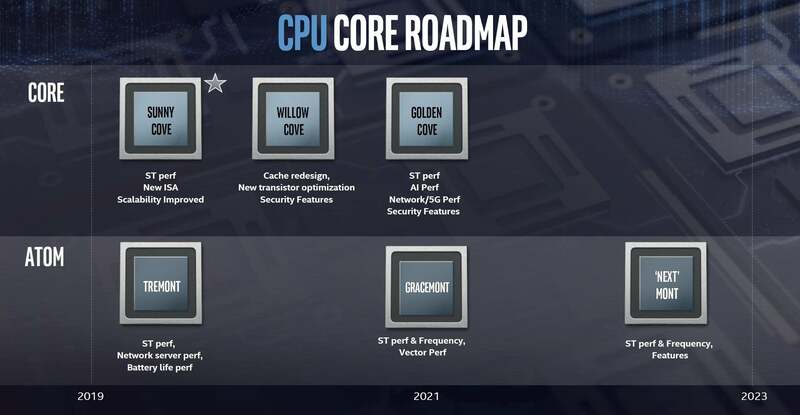 Long criticized for reusing old cores in its recent CPUs, Intel on Wednesday showed off a new 10nm Sunny Cove core that will bring faster single-threaded and multi-threaded performance along with major speed bumps from new instructions. Sunny Cove, which many believe will go into Intel's upcoming Ice Lake-U CPUs early next year, will be “deeper, wider, and smarter,” said Ronak Singhal, director of Intel’s Architecture Cores Group. Singhal said the three approaches should boost the performance of Sunny Cove CPUs. By doing “deeper,” Sunny Cove cores find greater opportunities for parallelism by increasing the cache sizes. “Wider” means the new cores will execute more operations in parallel. Compared to the Skylake architecture (which is also the basis of Kaby Lake and Coffee Lake chips), the chip goes from a 4-wide design to 5-wide. Intel says Sunny Cove also increases performance in specialized tasks by adding new instructions that will improve the speed of cryptography and AI and machine learning. In one demo the company showed a Sunny Cove CPU performing a 7-Zip encode using AES-256. 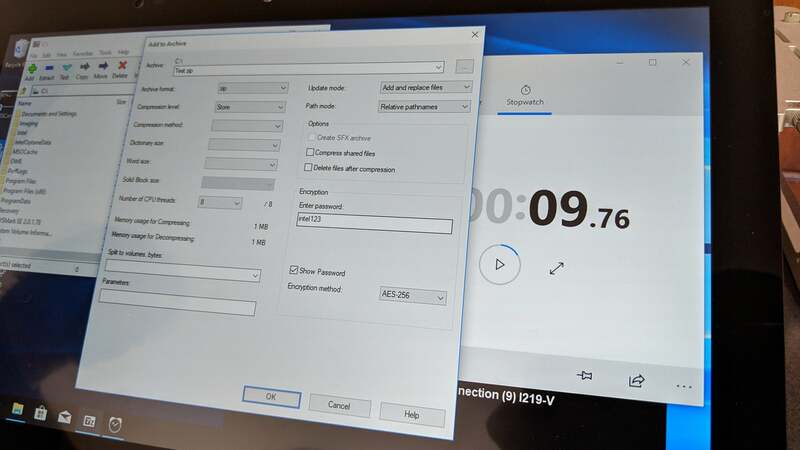 It ran up to 75 percent faster than an equivalent current Intel CPU, but with a catch: The demonstration used a version of 7-Zip that was recompiled to take advantage of Sunny Cove's instructions. Other changes include specialized instructions to improve performance of vector processing, compression, and decompression. 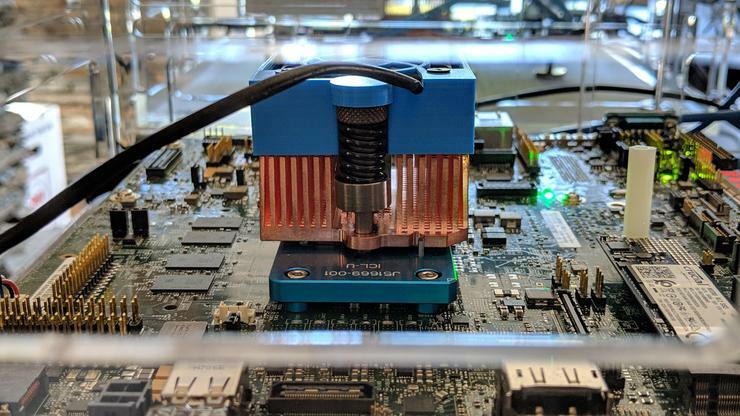 Intel’s upcoming Sunny Cove cores will feature improved encryption performance to the tune of about 75 percent over current products in the same power and thermal envelope. The new Sunny Cove CPU cores will also greatly increase memory support by increasing the address space from 48 bits to 57 bits. The difference, Singhal said, is an increase from 64 terabytes to 4 petabytes in the new cores. 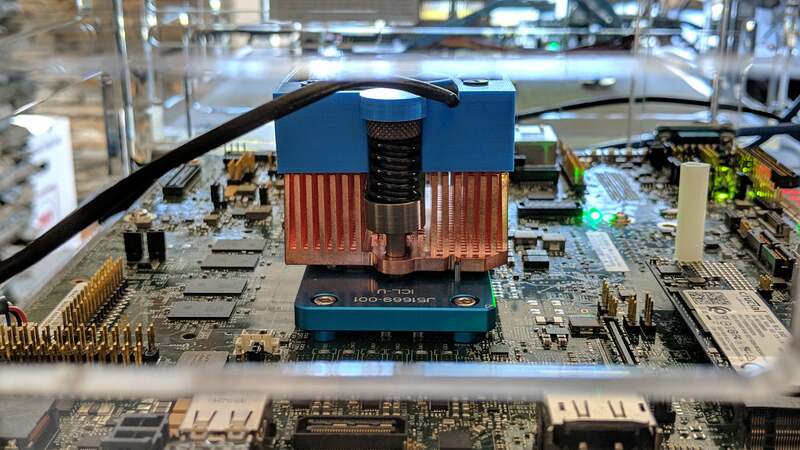 Obviously, that won’t apply to today’s or even tomorrow's uses cases, but with Optane storage continuing to move down the train tracks, the day is approaching when even a consumer CPU may need to talk to what seems like an insane amount of memory. Improvements don’t stop at the x86 cores. Intel will also include greatly improved “Gen. 11” graphics with the new Sunny Cove chips, and they're the first integrated Intel graphics to hit a teraflop of performance. That basically means you'll see far better gaming performance compared to previous Intel integrated graphics. For comparison, an AMD Ryzen 5 2500U with Vega 8 graphics is rated at 1.1 teraflops, with the Ryzen 7 2700U with Vega 10 at the 1.7 teraflop range. Bundled with Intel's graphic support for Adaptive Sync, gaming might actually be okay on the new Gen. 11 graphics core. Officials say much of the performance comes from more than doubling the execution units from 24 EUs in Gen. 9 to 64 EUs in Gen. 11. So what happened to Gen. 10? No, Intel hasn't watched too much This is Spinal Tap. The company said there was a Gen. 10 graphics core in the ill-fated Cannonlake CPUs that have all but fizzled out. 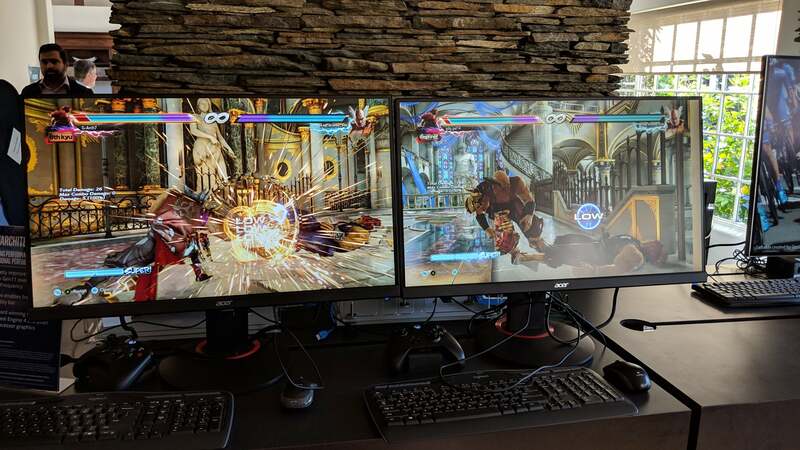 Other changes to the graphics core include continuing buffs to the already very good QuickSync feature used for hardware encoding and decoding. 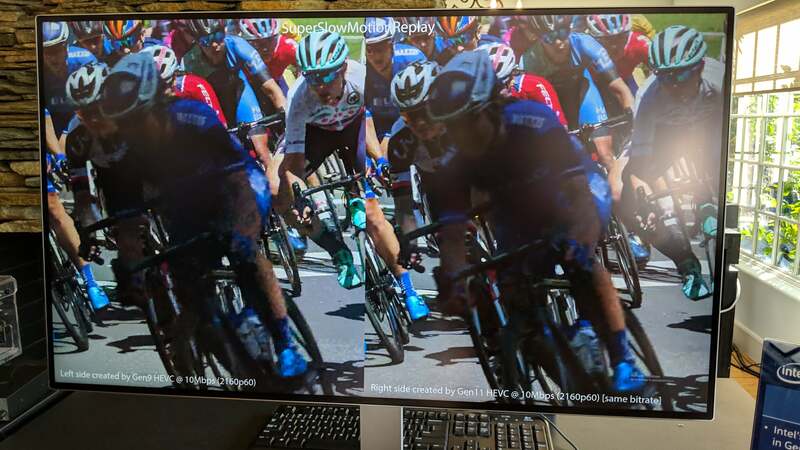 Officials said Gen. 11 QuickSync can now encode H.265 streams at the same visual quality as Gen. 9, but using about a third less bitrate. Sunny Cove will also be the first CPU cores to include hardware mitigation for Variant 3 and L1TF side-channel attacks that goose data by exploiting how CPUs prefetch data to improve performance. While Intel disclosed its Sunny Cove and two follow up cores called Willow Core and Golden Core, hard details such as how many cores will be found in actual CPUs, and at what clock speeds, were held close to the vest. The official code name wasn't revealed either. It isn’t hard to guess that Sunny Cove will likely be used in the upcoming Ice Lake-U chip though. In fact, in one of the product demonstration platforms, the bracket for the CPU clearly said ICL U which, well, lines up with Ice Lake-U. The U denotes ultra-low power chips, which means it’ll replace the current quad-core Kaby Lake-R and quad-core Coffee Lake-U 15 and 28-watt CPUs used in most thin laptops. 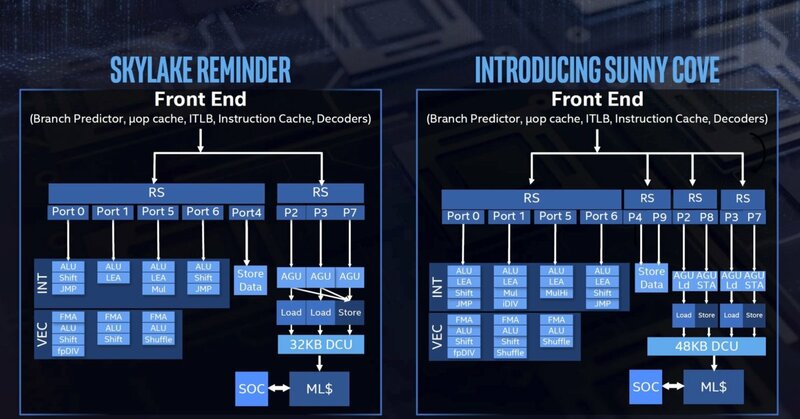 Intel isn’t releasing the codename of its upcoming CPUs using the new Sunnycove cores—but the blue mount seems to indicate ICL-U which likely means it’ll be Ice Lake U which indicates it’ll be a 15-watt laptop chip. Where did Intel’s 10nm Cannon Lake go? All these Sunny Cove disclosures leave a major question lingerering: Where did Intel’s first 10nm chip, codenamed Cannon Lake, go? While we've seen rare, unicorn-like laptops and NUCs using Cannon Lake in small quantities, there hasn't been any widespread distribution of the very late CPU. It's looking like a dud. With Sunny Cove cores becoming the new attention for Intel, it seems likely that Cannon Lake will be going fishing with Fredo on Lake Tahoe.